Purchase $100 gift certificate and get an extra $15 for free! Call today to make your holiday reservations. We are proud to offer a huge menu full of dinner options everyone will love. 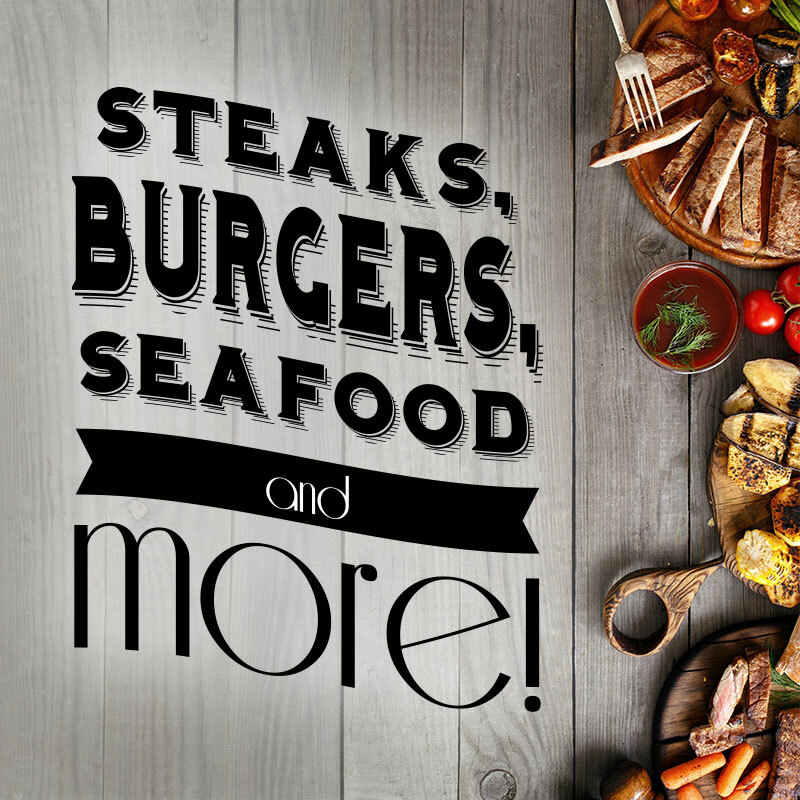 Try our New York Strip, chargrilled salmon, BBQ ribs, or any of our other delectable entrees. 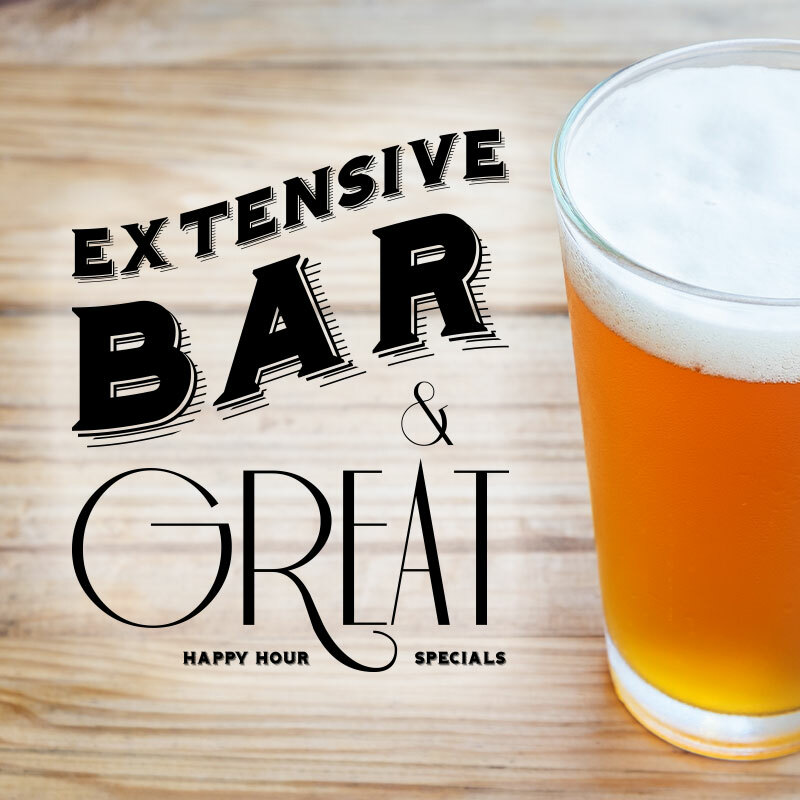 For over 15 years, we've been one of Owatonna's favorite spots for great meals, affordable drinks and a cozy atmosphere to spend time with friends and family. We pride ourselves on our extensive lunch and dinner menu, featuring a wide range of options. Our lunch menu has tons of tasty salads, sandwiches, burgers and our famous tortilla roll-ups! For dinner, we suggest any of our beef, poultry, or seafood entrees. Our "Create Your Own Pasta" and other pasta dishes are also very popular! Planning a party? 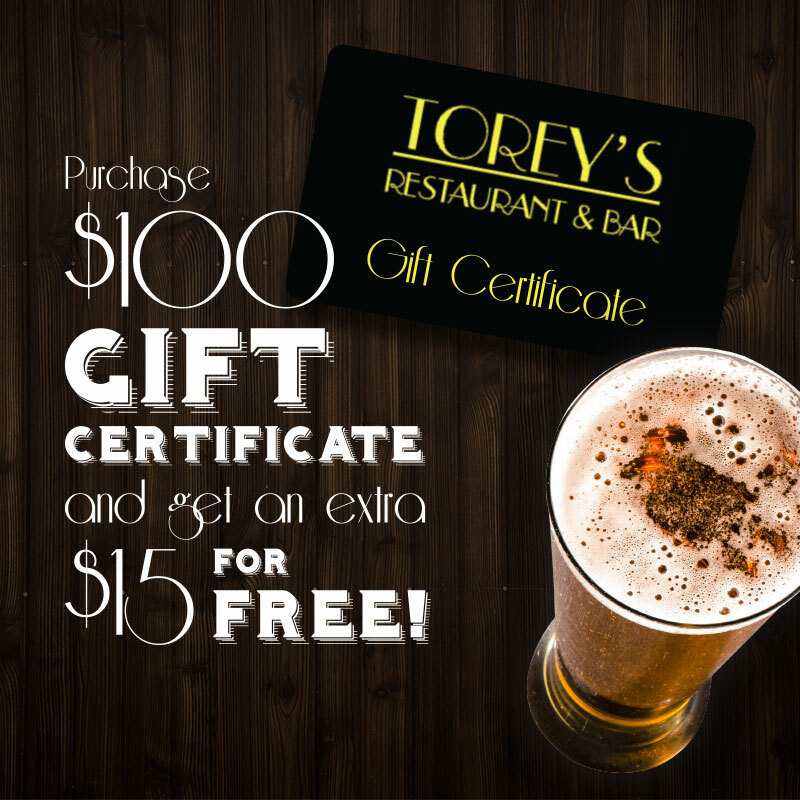 Torey's is the perfect place to celebrate birthdays, anniversaries, graduations or any other event with friends and family! 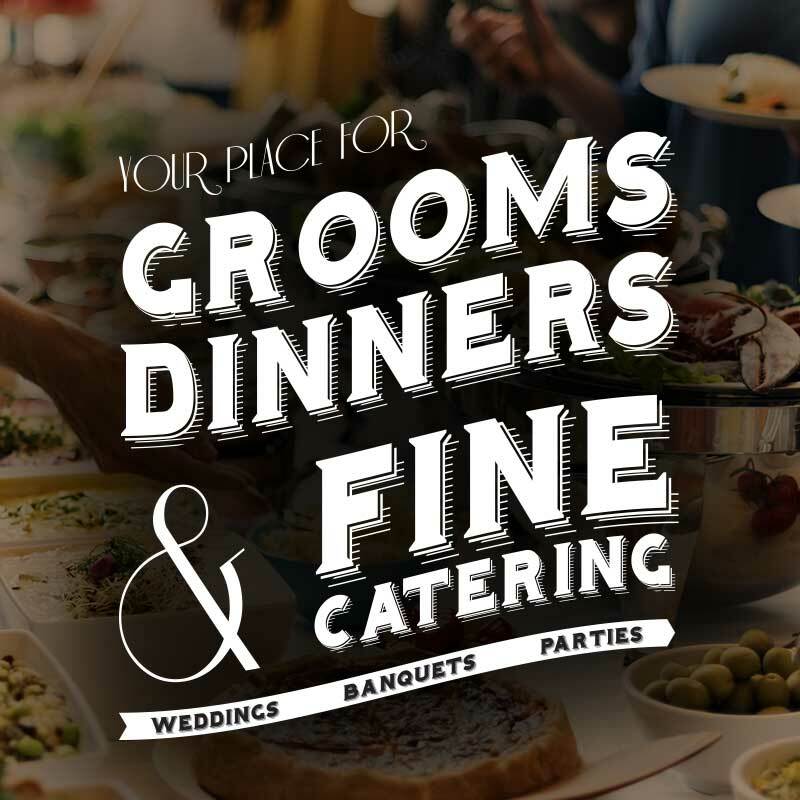 We have a great banquet menu to pick and choose from, as well as catering options for off-site events. Call us for more information!